← Our Time – What is our time? Youth Services school-based summer programs have been busier than ever with over 250 youth and four programs running in Kearns and Magna. Students have the opportunity to experience a variety of activities, build skills and confidence. This was the first year of the South Kearns Elementary Program which took the kids on weekly field trips. Staff created educational packets based on the field trips that tied into the Utah State Core to keep kids actively learning and preventing summer learning loss. The kids were having so much fun, they didn’t even realize they were learning. 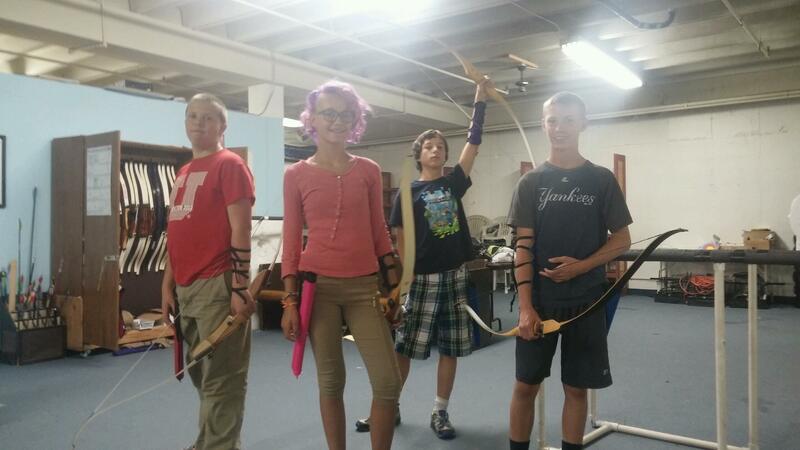 Our junior high programs have been going regularly to activities such as bowling, mountain biking, learning archery, doing hands on science, cooking and staying active. They also have visited various colleges around the state and invited in guest speakers to inspire the teens to think beyond high school. The visits included Lt. Governor Spencer Cox and Salt Lake County Mayor Ben McAdams who spoke about how their past has gotten them to where they are today. 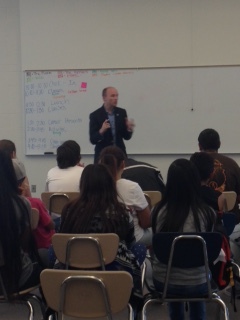 Mayor McAdams encouraged the kids to dream big and go for their aspirations. 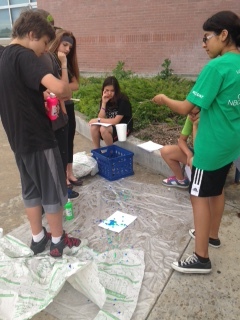 Cyprus High held a condensed summer math camp for the month of June. Cyprus High math teachers David Ashton and Daniel Silva created their own curriculum that was tailored to fit a variety of student needs. Students from Cyprus High, Matheson Junior High and Brockbank Junior High attended June 8th-18th for three hours per day at Cyprus High School. The level of commitment to improving their math skills was demonstrated as over 50 Magna students arrived every morning ready to improve. Thanks to donations by local bakeries Einsteins and Carlucci’s this hardworking group was given breakfast each morning and remained focused. We are so proud of these kids who will begin the 2015-2016 school year already ahead in math. Congratulations! For more information about Youth Services Afterschool Program please call 385-468-4500 or you can visit www.youth.slco.org. This entry was posted in After School Program, Family Activities, Parenting Tips, Safe Place, SLCO, Success Stories, Youth Groups. Bookmark the permalink.